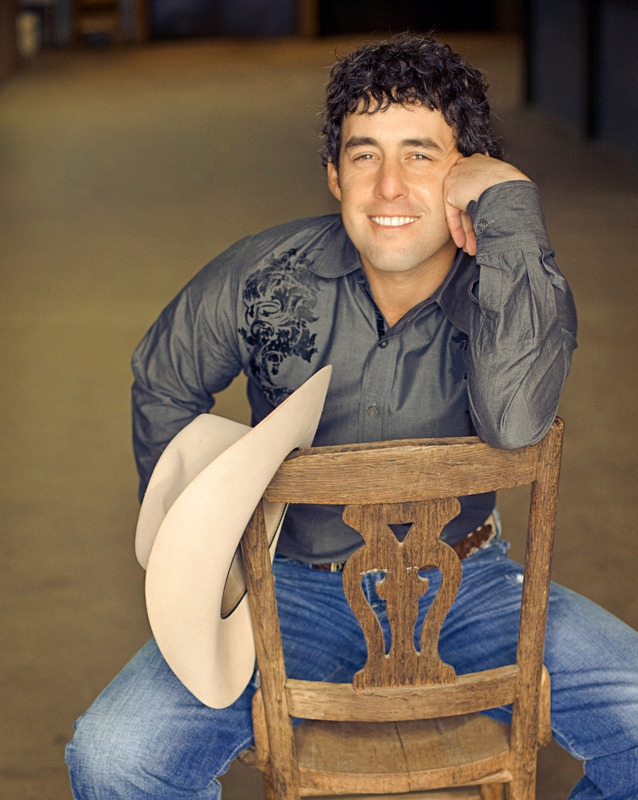 September 28-30 features Fiddlers, Fiddles, Country Fun and Freaks in Cheyenne. Get great rates at Cheyenne hotels and B&Bs September 28-30. Just call your favorite hotel listed below and tell them you want the "Visit Cheyenne Winter Rate." For more detailed information on the properties, please click here. The last weekend of September brings a lot of fun events, including a presentation of Fiddler on the Roof, all Eastern European music by the Cheyenne Symphony Orchestra and the groans and moans of the walking dead for Zombiefest 2012!! Click here for more information. Sunrise and sunset are great times of the day, but they&apos;re even better when someone sings about them. 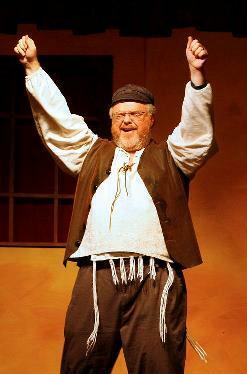 The Cheyenne Little Theater Players will present the classic musical, Fiddler on the Roof, at 7:30 p.m. Friday and 2 & 7:30 p.m. Saturday at the Mary Godfrey Playhouse, 2706 E Pershing. Cost for the tickets ranges from $13 to $23. Visit http://www.cheyennelittletheatre.org/ to purchase your tickets. The Cheyenne Symphony Orchestra celebrates all that is good about Classical Music from Europe with their Eastern European Idol performance at 7 p.m. Saturday, September 29. 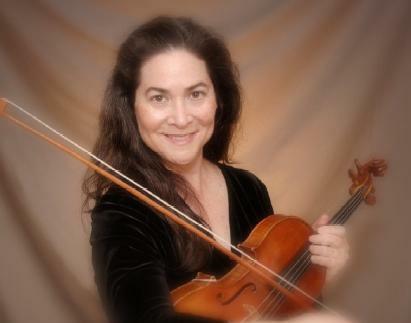 In this all-Eastern European concert, Stacy Lesartre steps out of her role as CSO Concertmaster and performs as soloist in Dvorak&apos;s violin concerto. If you want to understand more about the music, join in the Classic Conversations with Maestro William Intriligator one hour before the concert (free). Or you can come to town early Friday for the Maestro&apos;s Tuna Fish and Peanut Butter Classic Conversation at noon at the Laramie County Public Library, at 2200 Pioneer. This event is free. Aaron is a rising country star and is about to release his new album, "Real Good Time," featuring the hit song "Raise Your Bottle." Cheyenne is one of the first dates of the tour to support this album, so head out to the Outlaw Saloon for a rockin&apos; country good time Friday night. The show starts around 9 p.m., so get there early for some dancing (get in some line dance lessons if you need it at 8 p.m.)! Cost is $10 per person and you must be 21 years old to get into the Outlaw Saloon, 312 S. Greeley Hwy. For more information, call 635-7552. Of course, there isn&apos;t a better way to usher in the Halloween season than with Zombiefest II. It&apos;s going to be from 10 a.m. to midnight Saturday, September 29, in downtown Cheyenne. 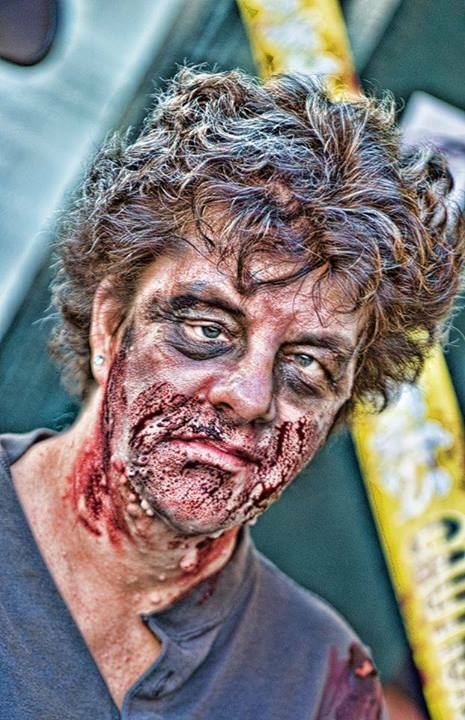 This all-day event celebrating all things zombie will knock your brains out! From The Historic Atlas Theatre, the Depot Plaza, the Hynds Building and all around the downtown Cheyenne area zombies will overrun the city! Want to look the part, but you don&apos;t have the tools to create an undead apperance? The ZombieFest Build a Zombie Disassembly line will take place in the lobby of The Historic Atlas Theatre, 211 West Lincolnway for $10. All this will take place from 10 a.m. to 1 a.m. Saturday, Sep. 29. To learn more, click here. On Friday night, you can head over to Recover Wyoming&apos;s Annual Cajun Fest. The event starts at 5:30 p.m. at the Kiwanis Community House in Lions Park, 4603 Lions Park Drive. The evening features a silent auction, Cajun dinner, a program and a live auction. The cost is $40. For more information, call 421-7261. 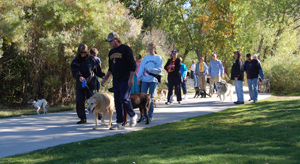 If you want to bring your dog along to Cheyenne, you can take part in the Cheyenne Animal Shelter&apos;s annual fundraising run/walk called the Wag &apos;n Walk. Registration is at 8 a.m. and the walk starts at 9 a.m. at Lions Park Amphitheater, 4603 Lions Park Drive. The walk is just around Sloan&apos;s Lake, so it&apos;s not very long. But it&apos;s a lot of fun if you bring your favorite canine companion! For information, call 632-6655 or visit cheyenneanimalshelter.org. Take part in the Making Strides Against Breast Cancer 5k Walk. The event is downtown and starts at 10 a.m. at the Cheyenne Depot Plaza, Capitol Avenue and Lincolnway. Walk through the downtown area, visiting select Partners in Pink and collecting your free rewards as part of this fundraising event. For more event information and to register, go to Makingstrides website or call 307-638-4101. Have some dinner or cocktails and enjoy the music of Brandon Sterling and "The Suite Band" as they play everything from jazz to oldies to today&apos;s top hits at Suite 1901, 19th Street and Central Avenue. Listen to the great music from 5-9 p.m. If you like singing Karaoke and Dancing along, Jackson&apos;s fires up their microphone at 9:30 p.m. and continues through to 1 a.m. The Video Karaoke Dance Party is great fun at Jackson&apos;s as it&apos;s a restaurant and bar at 1121 Cheyenne Court, which is just south of the Storey Boulevard and Powederhouse intersection. For information, call 637-9101. 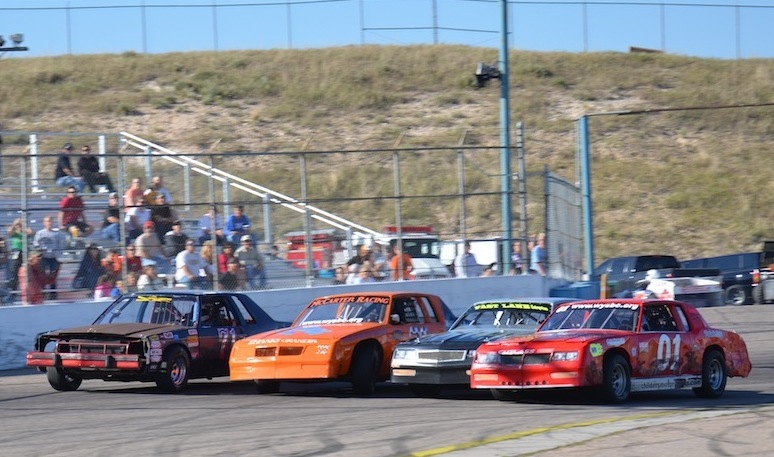 If speed is more your thing, then check out the final night of racing at the Big Country Speedway, 4820 S. Greeley Highway. The pit gate opens at noon, hot lapping is at 1 p.m., the front gate opens at 3 p.m. and the racing starts at 6 p.m. Featured on Saturday night is Late Models, Super Stocks, Modifieds, Warriors and Super Lite Trucks. Cost for adults is $9, children 6-12 is $5, and 0-5 is free. 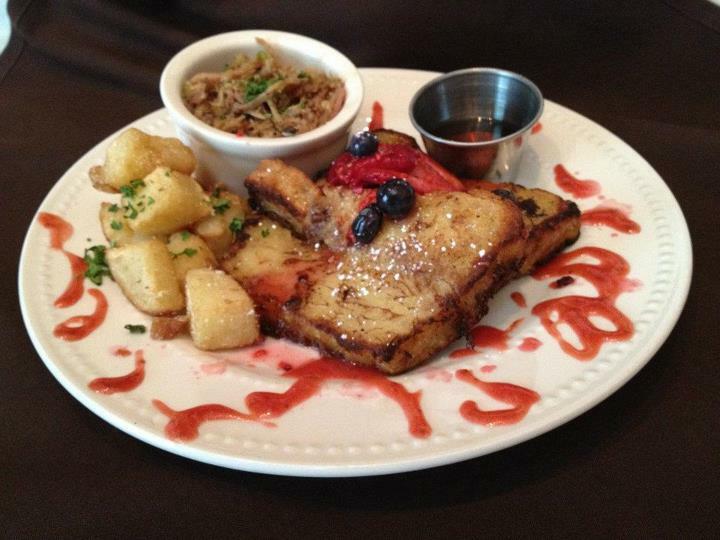 Round out your weekend with brunch, enjoying the Low Country seafood and cuisine with a hint of Wyoming Plains flavor at the Morris House Bistro. Reservations are not required for lunch (all other times it is required) as it is seated on a first-come, first-served basis. Pictured to the right is their King Street French Toast. For information, call 369-1378 or go to http://www.morrishousebistro.com/ for their complete menu.